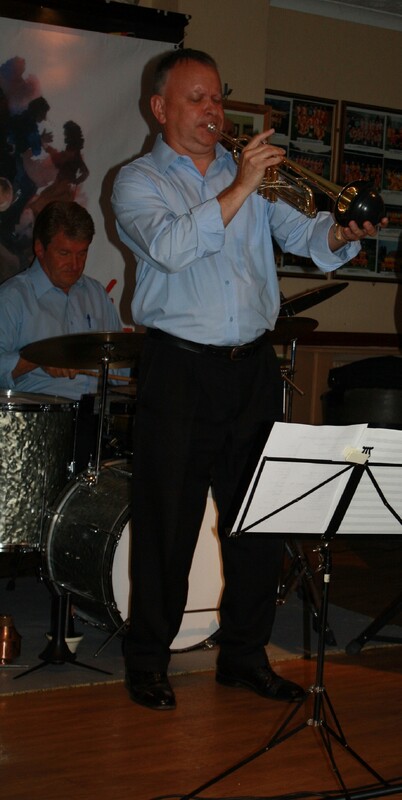 Mike Barry, Band leader & trumpeter singing at Farnborough Jazz Club(Kent) in 2017. Photo by Mike Witt. 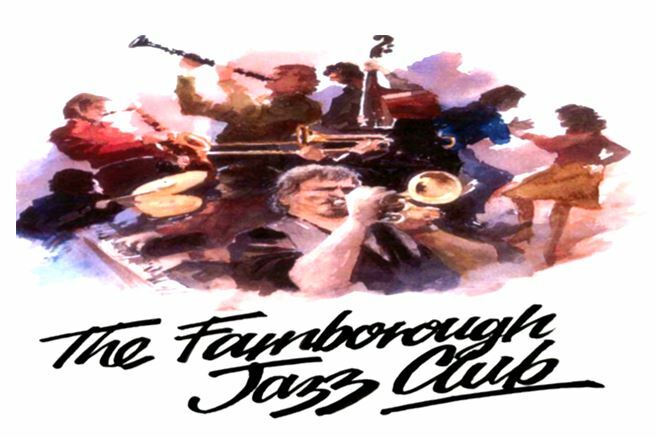 Yippee, it’s the ‘YERBA BUENA CELEBRATION JAZZ BAND’ back here at the FARNBOROUGH JAZZ CLUB (Kent) this Friday 26th October 2018. They give out a wonderful replicated West Coast sound of the famous two trumpets of Lew Watters’ & Bob Scobey, with the trombone of Turk Murphy . 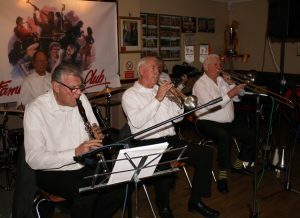 These talented musicians who manage it are ALAN GRESTIE (1st trumpet &vocals), MIKE BARRY (band leader, 2nd trumpet &vocals), GOFF DUBBER (clarinet), COLIN GRAHAM (trombone), plus TIM HUSKISSON (piano), PETE LAY (drums), JOHN ARTHY (tuba) and NICK SINGER (banjo). 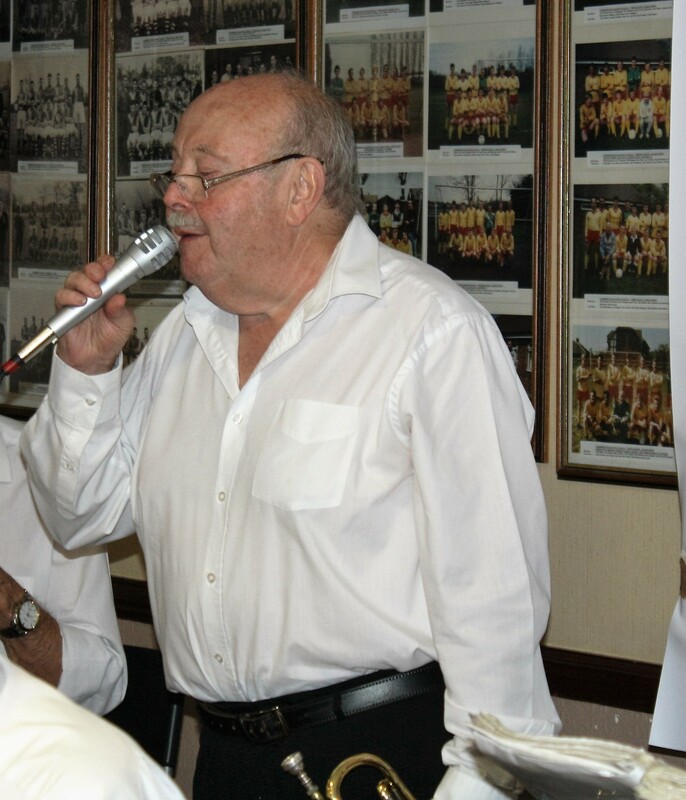 You can certainly enjoy a dance or two and the Shepherd Neame bar with club prices, so see you all on Friday for an 8:00pm start. Some of us friendly witches & warlocks will be coming in our work clothes to listen to our jazz, so if you wish to join us and dress up, you will be most welcome. We have plenty of free parking – Our postcode is: BR6 7BA . This entry was posted in Yerba Buena Celebration Jazz Band on October 24, 2018 by Diane. The London Jazz Kings are appearing at our Farnborough Jazz Club (Kent) for the first time in this presentation, on Friday, 19th October 2018. It will be an exciting evening, full of super talent. How do I know, well because Pete Rudeforth will be playing trumpet and singing a few songs. We also have another talent, namely Chris Lowe, playing trombone appearing for the first time here. Let’s show him our usual warm Farnborough welcome. 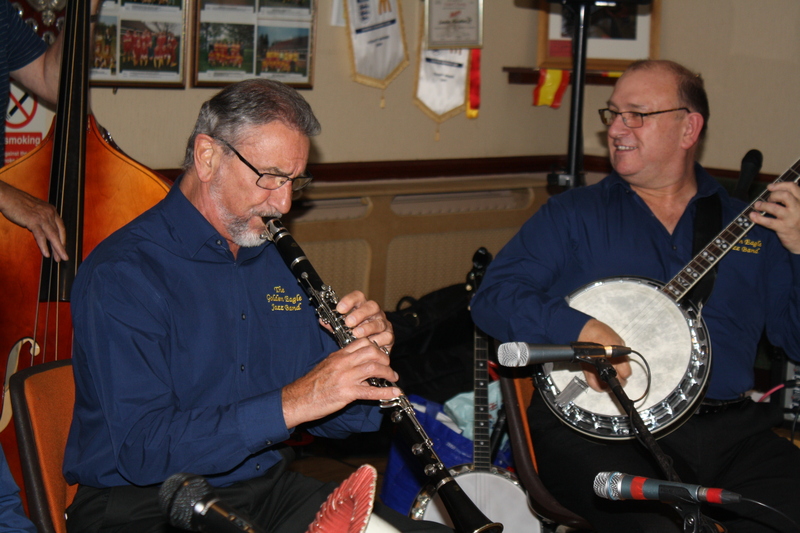 The rest have been here before and know what a crazy lot we can be, so welcome back to John O’Neil on clarinet &sax, Mick Scriven on bass sax, Bill Traxler on drums and Nick Singer on banjo. You better get here fast to grab yourself a table (don’t worry if I am not ready – you know my usual moaning self until I am – ha) to have a ball. Music starts at 8:00pm and finishes at 11:00pm. Why not come and enjoy a dance, or two. Oh yes, we have a Shepherd Neame bar. This entry was posted in London Jazz Kings on October 18, 2018 by Diane. Lord Napier Hotshots -Farnborough Jazz Club (Kent) on Friday 26th February 2016. (LtoR) Bill Traxler (drums) Pat Glover (clarinet), Mike Jackson, (trumpet), Lynn Saunders (banjo) and of course Mike Duckworth (trombone – luv his yellow&black striped socks). Photo by Mike Witt. joining Diane and Keith – your hosts. I cannot close without passing on warm wishes and congratulations to The beautiful Royal couple, Princes Eugenie and Jack on their wedding day. I took time out to watch most of it (hope to see a re-run too) and would like to say how absolutely beautiful and elegant Princess Eugenie looked – her dress was gorgeous. 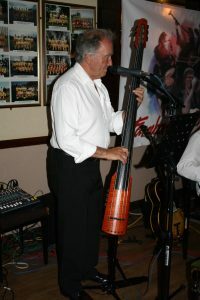 May I, on behalf of Farnborough Jazz Club, wish them a happy life together always. This entry was posted in Lord Napier Hot Shots on October 12, 2018 by Diane. GOLDEN EAGLE JAZZ BAND are back with us at the FARNBOROUGH JAZZ CLUB (Kent) on Friday 5th October 2018. Band leader, KEVIN SCOTT (tenor banjo &vocals) will be joined by that jolly band of musicians TONY KARAVIS (trumpet), ALAN CRESSWELL (reeds) and of course ROY STOKES (trombone &vocals), including CHRIS THOMPSON (double bass) and MALC MURPHEY drums). We may have a special treat for you too. Kevin said possibly PENNY PAYNE may join us. Perhaps we can coax her to sing for us too. Should be a super evening again. Sorry I haven’t got new photos sorted out for you in a while, but soon! P.S. Can’t believe it, but it is our 1st wedding anniversary weekend (Monday being the day)! So, we hope to really enjoy ourselves too. This entry was posted in Golden Eagle Jazz Band on October 4, 2018 by Diane.